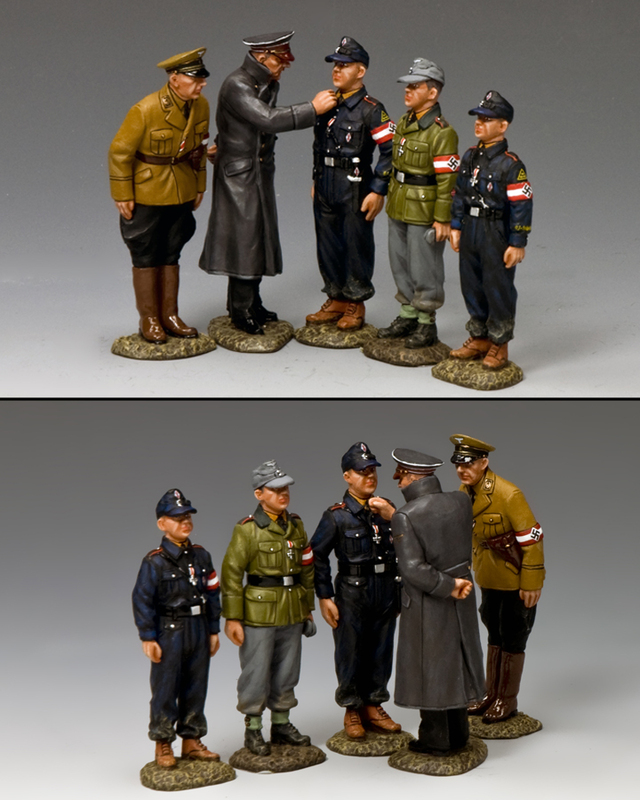 A special 5-figure set based on actual newsreel and photo images of a little ceremony that took place on Hitler’s 56th birthday on 20th April 1945 in the ruins of the Reich Chancellery garden. 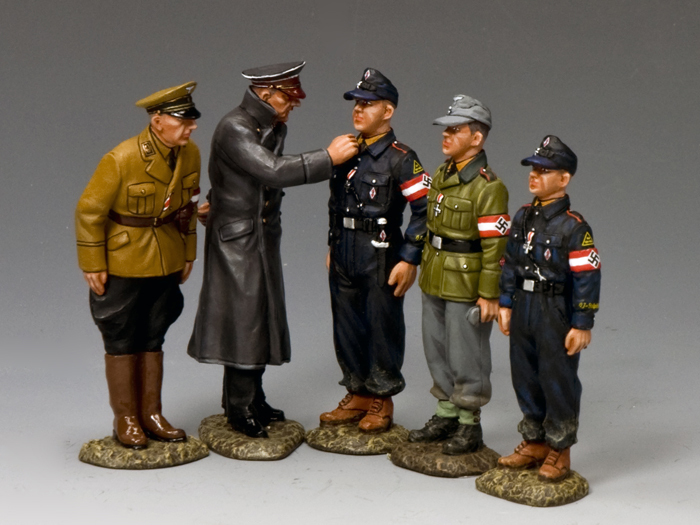 Here Hitler greets a small group of Hitlerjugend boys who have been decorated for bravery in the recent fighting in Berlin. Slowly and deliberately he goes down the line talking to each boy in turn. By his side is Arthur Axmann, the HJ leader. Completing the set are 3 of the young fighters.